Which sled-like Olympic event was invented in Switzerland? What sport, similar to shuffleboard, uses brooms for play? 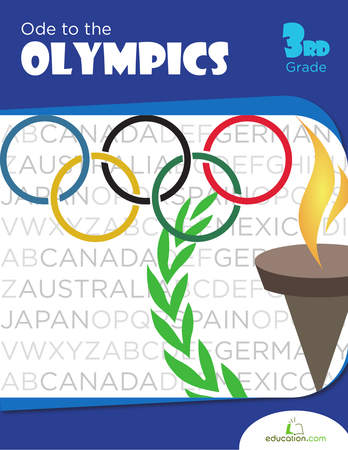 Quiz your third grader on his knowledge of Olympics jargon, and encourage spelling practice with this fun, fill-in puzzle. Let your budding wordsmiths have fun reviewing those tricky past tense verbs with this crossword puzzle! Practice spelling with a fun mix between a board game and a crossword puzzle! What words can your child make from the letters in "heart"?